Injustice: Gods Among Us, from the makers of Mortal Kombat has a new release date, April 16th. The Collector’s & Battle Editions were also detailed. Collector’s Edition consists of a steelcase featuring art from the game, a statue of Batman, Wonder Woman in the Fortress of Solitude with the Last Son of Krypton’s escape ship, special Injustice comic book, a digital download voucher for the animated Justice League: Doom, and three skins of Batman, Wonder Woman, & Superman from The New 52 at retail for $99.99. 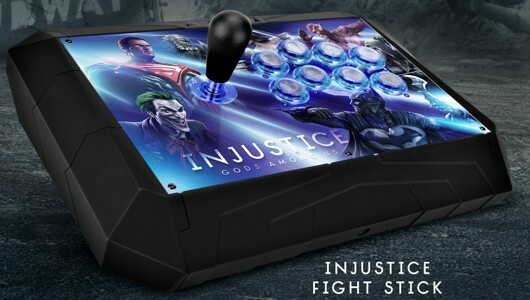 The Battle Edition consists of the same three skins and a exclusive Fight Stick for $149.99. Injustice: Gods Among Us releases for Xbox 360, PlayStation 3, and Wii U.